Dawson is our class dog! We love to have him in the room- even when he is a little naughty! About Mrs. R.- I have 2 boys, love to read and have taught grades kindergarten through 6th! 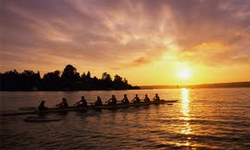 One of my passions is rowing on the Hudson River.